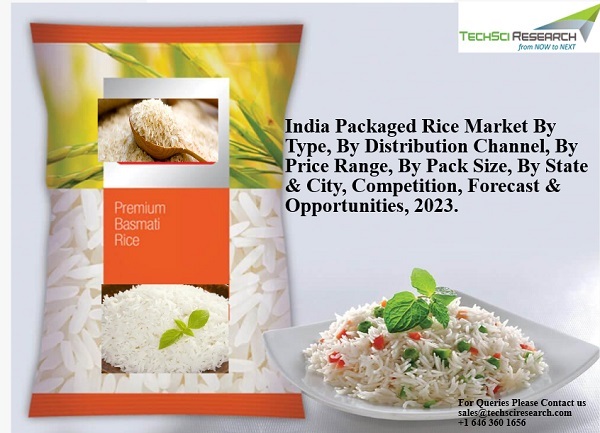 According to TechSci Research report, ‘India Packaged Rice Market By Type, By Distribution Channel, By Price Range, By Pack Size, By State & City, Competition, Forecast & Opportunities, 2023’, India packaged rice market is anticipated to register growth at a CAGR of more than 11% during 2018 – 2023. Rice is the most widely consumed staple food for a large part of global population and is divided majorly into two types – Basmati and Non-Basmati. ‘’Basmati” is long grain aromatic rice grown for many centuries in specific geographical areas at the Himalayan foothills of Indian sub-continent. Any rice other than basmati rice is called non-basmati rice. Anticipated growth in the packaged rice market can be attributed to growing brand consciousness among consumers and rising disposable income in India. Moreover, a shift towards packaged, branded products with better quality, grain size, and post-cooking attributes, like aroma and taste, is being witnessed in the Indian households. West and North region of the country cumulatively accounted for major share in India packaged rice market, owing to the regions’ large population base. Moreover, cities like Mumbai, Pune, Ahmedabad and New Delhi are some of the largest markets in India for packaged rice due to their large urban population. 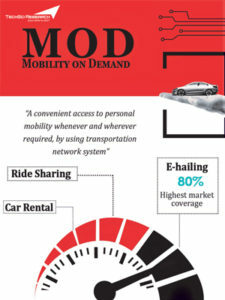 Among distribution channels, independent small grocery is the leading segment. However, in the coming years, supermarket/hypermarket and online sales channel are anticipated to grow at a swift pace on account of increasing consumer preference for non-store-based retailing. “India packaged rice market is anticipated to grow at a good pace in the coming years due to rising shift towards packaged and hygienic food products. Moreover, with increasing health consciousness, people are showing inclination towards organic food products, which includes organic rice as well. This is the reason, leading players are increasingly focusing on expanding their product portfolio to include more varieties of rice for health conscious consumers. Additionally, rice companies are focusing on expanding their distribution channel and innovation in packaging of rice, thereby making the products more appealing, which is expected to positively influence India packaged rice market during forecast period.” said Mr. Karan Chechi, Research Director with TechSci Research, a research based global management consulting firm. “India Packaged Rice Market By Type, By Distribution Channel, By Price Range, By Pack Size, By State & City, Competition, Forecast & Opportunities, 2023” has evaluated the future growth potential of India market and provides statistics and information on market structure, size, share and future growth. The report is intended to provide cutting-edge market intelligence and help decision makers to take sound investment decision. Besides, the report also identifies and analyzes the emerging trends along with essential drivers, challenges and opportunities present in India packaged rice market.